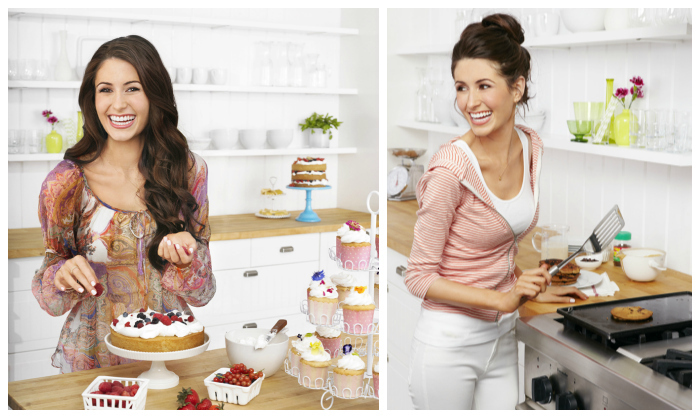 Chatting Desserts & Cookbooks with Chloe Coscarelli + VGP 2013! 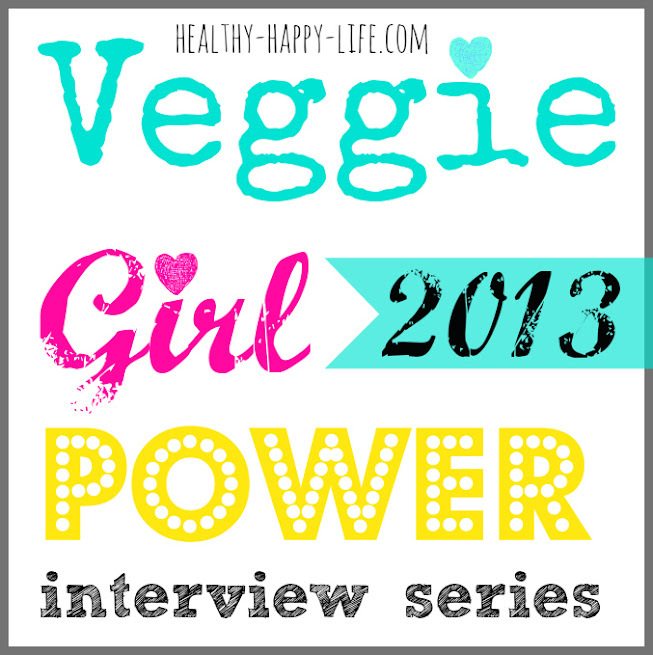 Over the past four years I have had the pleasure of interviewing some of my favorite veggie-powered ladies via my annual Veggie Girl Power Interview Series. It has been so much fun being able to follow the inspiring careers of these veggie superstars in the years since chatting with them all. Past VGP ladies included: Marilu Henner, Chloe Jo, Portia de Rossi, Vaute Couture's Leanne, Sarma, PPK's Isa, Kathy Freston, Heather Mills, Annie Shannon, Gena, Rory Freedman and many more. You can catch up on all my past interviews here: 2011, 2010, 2009. 2013's series starts now! I am SO excited to announce this year's eclectic line-up of ladies and feature an update on a past superstar: the lovely Chloe Coscarelli! So to kick off this year's VGP Interviews (I announce this year's full line-up ahead) - I wanted to chat all things dessert, cookbooks and more with Chloe. 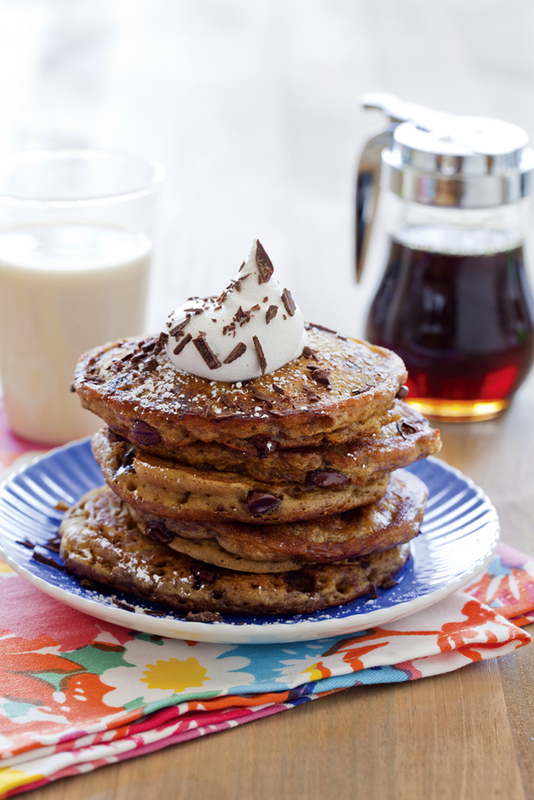 My interview with Chloe, plus she shares with me her dreamy recipe for Vegan Tiramisu Pancakes! 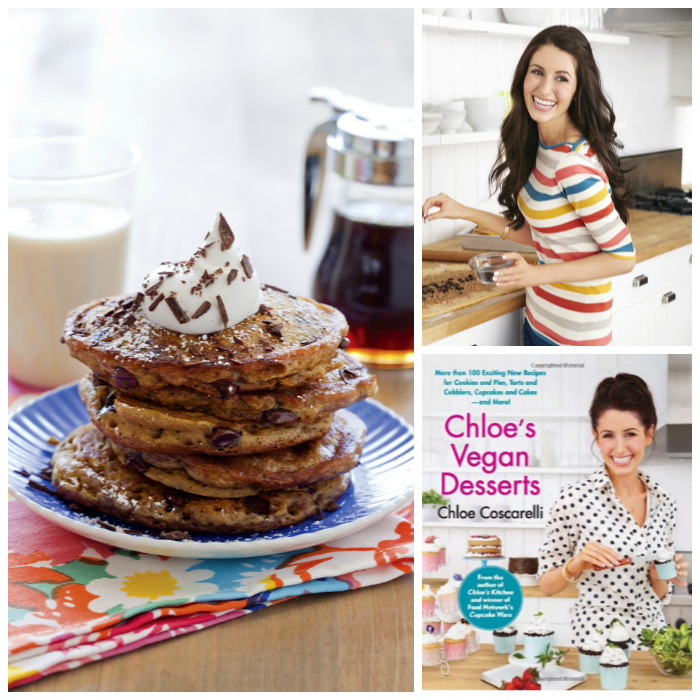 (Plus enter my giveaway to win Chloe's Vegan Desserts Cookbook!).. VGP 2013. This year there is one big change to my series. Instead of doing the interviews back-to-back, I will be posting a new interview every week for the next ten weeks starting today with Chloe. Nine TEN ladies this year to chat with! And just so you know, it is NEVER easy selecting who to interview. SO many people go swirling through my head, and I promise myself that in time I will get to interviewing each and every one of them. And ps, if you have any favorite people you'd like to see next year - please comment their names below. Love feedback on that. So, this year's VGP line-up..
Update! Ha, (from a few comments below) you guys reminded me that this year I wanted to include myself answering the questions in one round of the interview! So VGP interview #10 this year: ME!! ...many many details on these ladies in the upcoming interviews! Now for miss CC..
Kathy: What are three words you'd use to describe your cookbook tour? Kathy: What or who are three people or things you couldn't live without on your book tour? Chloe: A comfortable bed, a good vegan restaurant to grab a meal, my laptop. Kathy: What have been some (or just one) vegan culinary highlights from your travels? Name dropping yummy hotspots please! Chloe: It has to be Voodoo Donuts. Their vegan donuts are always fresh and they have a huge variety. They are open 24/7 and my mom and I went 3 times in one day? No apologies. The best pick me up ever! Kathy: You always look super cute! Who does your styling or do you do it yourself? Any brands for fashion or beauty you can't tour without? Chloe: Thank you! My friend Ava is a wonderful stylist and she helps me with my outfits. She is fantastic. She has really helped me a lot with making better choices and having a more critical eye when it comes to dressing myself. It really helps that I do my own hair. I just don't have the patience or time to sit in the salon. Some of my favorite makeup brands are Make-up Forever and Nars. Kathy: How oh how did you survive away from your pets during your traveling? Your pups are adorable! Chloe: Thank goodness for IPHONE. My family will take little films of the babies and tons of pics and text them to me all day. I've never traveled far with them but I did take them to San Diego to a dog-friendly hotel and it was such a novelty to have the staff bring two little dog beds and bowls and brand new toys to the room. Of course Winnie and Buster would have none of the dog bed and instead jumped right up to the fluffy comforters on my bed! Shhhh, don't tell the hotel. Kathy: What is something unexpected from your book tour? Chloe: One young man did a beautiful oil portrait of me and framed it. It was beautiful. I couldn't have been more touched. Kathy: What is the best way to reach a new audience to promote your book? Have you been excited about the mainstream enthusiasm for your vegan book? Chloe: My publishers are really terrific at trying to reach new audiences and of course I love engaging with my readers on Facebook and Twitter. Kathy: What is one of your favorite stories from meeting your excited Chef Chloe fans on your tour? Chloe: I have met many people on my tours who have told me they lost weight after going vegan and that my book really helped them achieve that goal. Kathy: Who is the coolest person (or celeb/hero) you have met on your tour? Chloe: Everyone who has come out to to say hello to me is special. I really love meeting and talking with everyone. Sometimes the book store wants to hurry me up but I just can't. I want to hear what everyone has to say! Kathy: What advice would you give new and hopeful vegan cookbook authors? Chloe: Stay with it. Cookbook writing can be very arduous work. Recipes need to be tested and re-tested and tested some more to be perfect. The end product will be something that you can be very proud of. I love sharing my recipes with everyone. Nothing makes me happier then hearing that someone made my Fettuccine Alfredo, or Lemon Squares or Spinach Artichoke Dip and loved it so much that they made it again and again. This is very rewarding and all the hard work paid off! Thanks Chloe! And I love these fun kitchen pics provided by Chloe. Love..
And here is a yummy brunch or breakfast (or dessert!) recipe shared by Chloe..
Catch up with Chloe on her website Chef Chloe. Snag Chloe's books "Chloe's Vegan Desserts" and "Chloe's Kitchen" on Amazon..